Cave States is an American band from St. Louis, Missouri. The band is a collaboration between songwriters, Chris Grabau, Danny Kathriner and Todd Schnitzer. The bands’ name is inspired largely by a nickname given to the state of Missouri and Plato’s Allegory of the Cave. 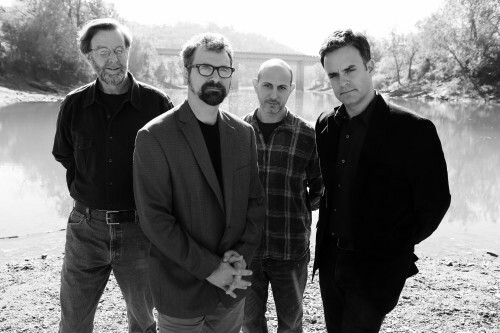 For over 20 years, the members of Cave States have led or supported a number of well known St. Louis bands including Magnolia Summer, Half Knots, Nadine, Colonel Ford, Wagon, and Waterloo; however, Cave States is their first songwriting collaboration. In late 2013, the band quietly released their first album, The Great Divide, to international acclaim. St Louis’ Riverfront Times and KDHX (88.1 FM) listed the bands’ debut as one of the “best St. Louis releases for 2013.” Eleven Magazine (St. Louis) stated, “It’s collaboration at its finest… a seamless wave of harmonies punctuated with the squeak and chirp of fingers on strings that never venture into the darkness the bands’ name implies.” Americana UK called Divide, “an album to savor and revisit,” while other reviews likened the band’s music to The Jayhawks, Will Oldham, and Jason Molina.